There’s an App for That was Apple’s clever iPhone 3G commercial that has been parodied to pieces by the masses, Sesame Street included. For those of you who live under a rock…the commercial demonstrated that there is an app for virtually anything you might want or need in life. Check the snow conditions on a mountain, locate your parked car, find where you can purchase your Biology 101 textbook for the cheapest price – there’s an app for that. No matter what we want to do, there’s an app to help us get it done (even if we don’t need one…the slew of useless apps out there is terrifying). As digital technology infiltrates our lives, our expectations change. We rely on the omniscience of our digital tools to no end. We get so swept up in the things that digital technology can do that we tend to neglect, or even consider, solutions and opportunities that don’t live “in the cloud,” so to speak. We consult backlit screens and endless newsfeeds to get information, answers and suggestions. There’s nothing wrong with using these resources; digital technology has enabled an incredible revolution of shareable, accessible content that is second to none. What I am suggesting is that with digital as our go-to guru, we can easily overlook other solutions and channels without even batting an eyelid. As a result, what we often forget is that the simple solution is sometimes the best solution. A good idea doesn’t have to have an iPhone app, a customizable digital platform, a Facebook campaign, and a Twitter handle to be successful, or even smart. In fact, sometimes those are the biggest failures of them all. There’s a lot of good to be done with digital technology, but let’s not forget that there was a time not long ago when apple meant a crunchy red and/or green fruit and cloud meant it was going to rain sometime soon. 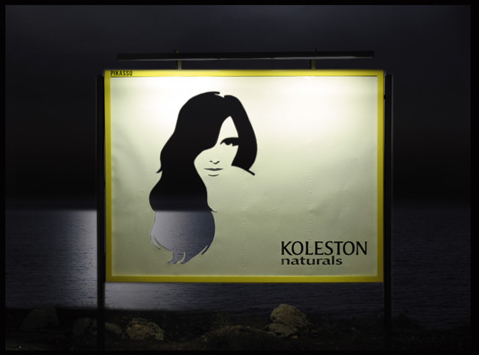 The campaign created by Koleston, a brand that sells hair products, caught my eye because of its simplicity. 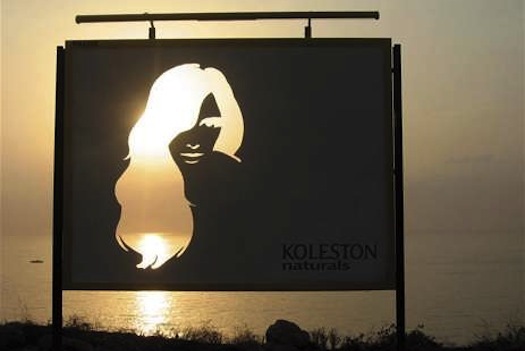 The billboard depicts a woman’s silhouette, her hair a gaping hole in the board, allowing the seaside background to show through. 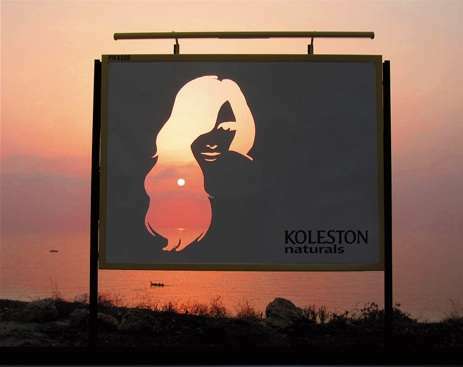 Koleston utilizes the natural landscape to demonstrate its commitment to using natural ingredients in its products. The campaign communicates the brand’s position with clarity and effectiveness, both points crucial to the success of a highway billboard, which gets all of 2 seconds of a passerby’s attention. 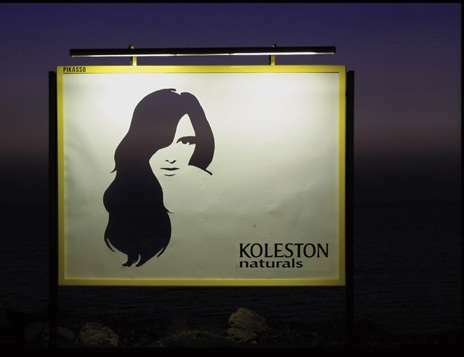 The incorporation of natural elements that change overtime, and thus change the billboard itself, speak to so many aspects of the brand’s position. Natural ingredients are valued and respected. Beauty comes in many different shades and textures. Let natural beauty speak for itself. And to think, all of these messages emanating from a billboard with a hole in it.